Even when they’re not playing their best season, the Irish club from Yonkers that conquered amateur soccer last year still managed to make it to the CSL final with a comfortable 3-0 win over a Cosmopolitan powerhouse. 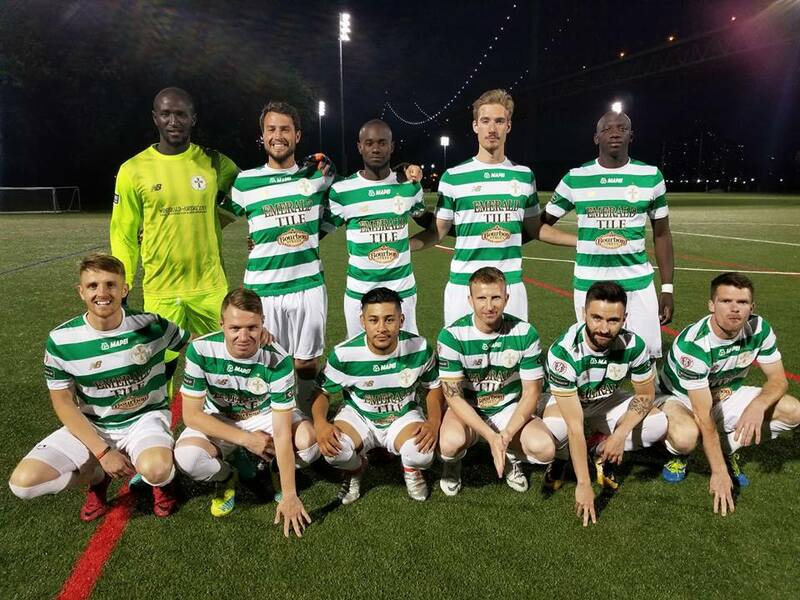 Lansdowne Bhoys shrugged off a substandard regular season by vanquishing NY Pancyprian Freedoms 3-0 in the semifinals on Tuesday night at Randall’s Island Field 70. After taking on the crown of the best amateur team in the country by winning the national double last year, the Bhoys hit the wall this season. They played their worst regular season in seven years, finishing in third place with a 13-3-2 record. Away from domestic action, the Irish club was eliminated in the early stages of the Fritz Marth National Amateur Cup and the Werner Fricker Open Cup. And three days before the semifinal versus the Freedoms, Austin Friel’s men suffered one of their worst losses in extra time, falling to PDL champions Charlotte Eagles 6-2 in the Hank Steinbrecher Cup’s opening round. Nevertheless of how the season was going, Lansdowne four-year striker Ovan Oakley never doubted his side’s ability to clinch the final. Lansdowne Bhoys forward Ovan Oakley. The three-time CSL champions were on a three-match winless run versus the Freedoms going into the playoff, drawing with the Cypriot club in the Open Cup qualifiers 0-0--but winning in penalty kicks--tying with them 1-1 and losing to them 2-0 in the league. 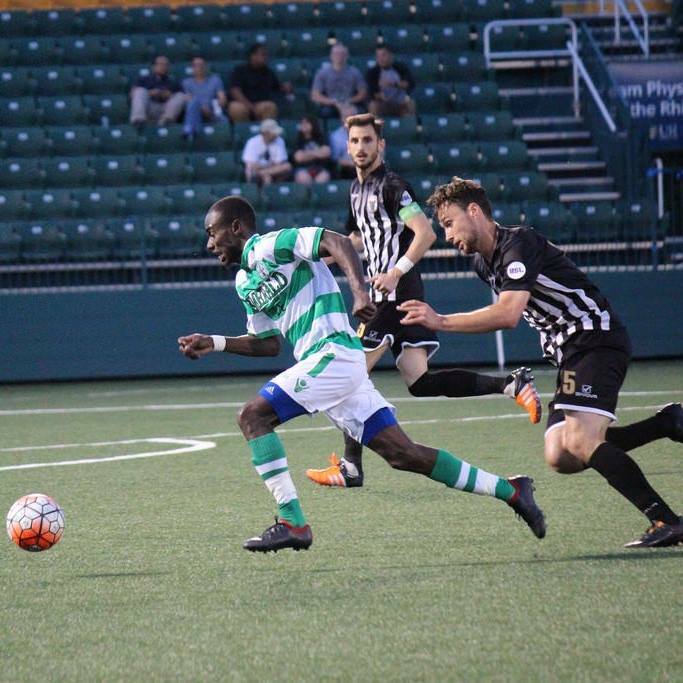 NY Pancyprians was a mischief-maker to the Yonkers based club again as they forced the Bhoys to a 0-0 first half socreline in the semifinal on Tuesday. 15 minutes into the second half the game was looking more and more like the 0-0 aforementioned Open Cup qualifiers the two clubs played back in October. Something finally clicked for the Bhoys in the 67th minute and they went on to score all their three goals of the encounter in just seven minutes. The team’s top scorer Oakley started the quick goal–party, steering the ball to the far corner of the net from Mamadu Guirassy’s pass on a counter attack. Michael Holzer put the Bhoys up by two three minutes later as he whipped a screamer to the bottom corner of the net from about 25 yards out. Oakley closed the scoring in the 74th minute, finding the net from close range this time after exchanging a sublime one-two with Guirassy. Going into the match, the Concordia College all-time scoring leader was on a rare goal-drought as he hadn’t netted against a CSL opponent in a month. He ended the regular season in third place in the top scorers chart with 12 goals. Indeed the 27-year-old found the net when it mattered with his brace. He expressed how delighted he was after the game. The Bhoys will meet Cedar Stars Academy in the final on Sunday at 8:00 p.m. at Randall’s Icahn Stadium. Two seasons ago Lansdowne blanked CSA 3-0 in the final at the same venue. But this season the Irish club will take a much more radiant Cedar Stars team. The Stars put up the second most dominating season in the modern era of the league, outscoring their opponents 68-12 via a 14-1-3 record, which includes a 3-0 victory over Lansdowne. The only team that played a better regular season than Oliver Papraniku’s men is Lansdowne itself, who went undefeated in the 2015-16 season with a 13-0-3 record. “I know they [Cedar Stars] have good players and so do we,” Oakley said about the upcoming final. “It should be a good game.